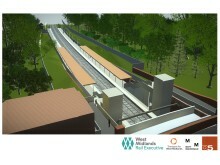 West Midlands Mayor Andy Street was joined by Secretary of State for Transport Chris Grayling for a tour of the Moseley station site and the unveiling of the station designs. 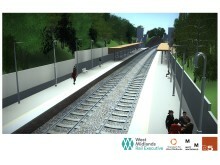 Andy Street said: “I know exactly how important reopening this railway line is to people in the communities in Kings Heath, Moseley and Hazelwell, and everybody who has a part to play in making this happen is working towards getting it reopened as quickly as possible. 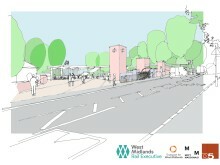 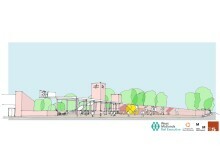 The Camp Hill Line development is part of a much wider package of investment in transport underway in the West Midlands. 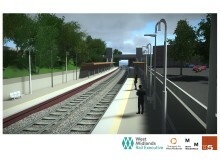 Cllr Roger Lawrence, the Chair of West Midlands Rail Executive, said: “The Moseley line is part of the wider investment TfWM is making across our region. “We are working on extending our tram network, developing new Sprint rapid bus routes and of course looking to reopen more railway lines. 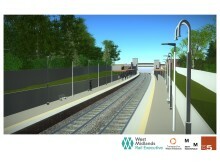 “We are also making progress on plans to reopen the Wolverhampton to Walsall line to passengers with new stations at Willenhall and Darlaston as part of our ambition to create a world class integrated transport system. 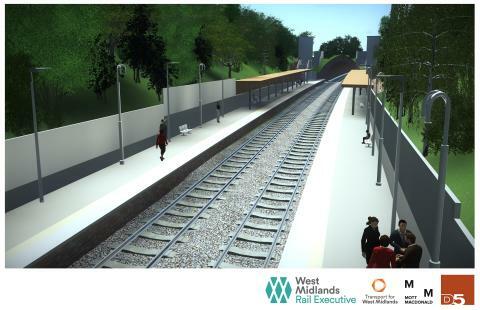 Martin Frobisher, managing director for Network Rail’s London North Western route, said: “The proposed railway upgrades in the West Midlands are really exciting. 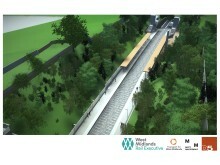 We are eager to work with all partner organisations that share our ambition to bring lasting improvements for rail customers. 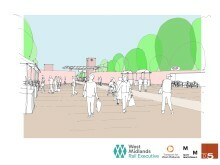 West Midlands Railway managing director, Jan Chaudhry-van der Velde, said “Rail travel in the West Midlands has never been more popular, and demand continues to increase.